Cayo Icacos is a small, uninhabited island approximately 1 mile wide and over 1 mile long located 3 miles off the northeast coast of Puerto Rico. There are no restaurants, no shopping centers or vendors, no electricity, and no facilities of any kind. The little island is just lush green foliage and perfect white sand beaches. The best option to visit this tropical paradise is by boat. 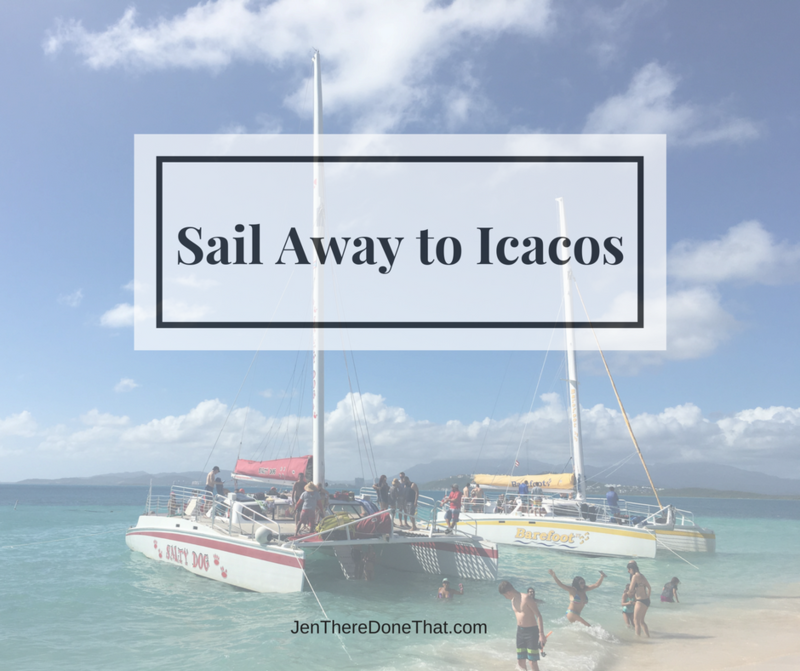 There is a water taxi service that departs just north of the El Conquistador resort in Las Croabas neighborhood of Fajardo, providing drop off and pick up service to Icacos as the least expensive option. A slightly more expensive option is the powered Catamaran sailboats that provide transportation, snorkel gear, shade, food & drinks, and (darn important) onboard bathrooms. For us, the decision was easy – comfort and leisure on a Catamaran!